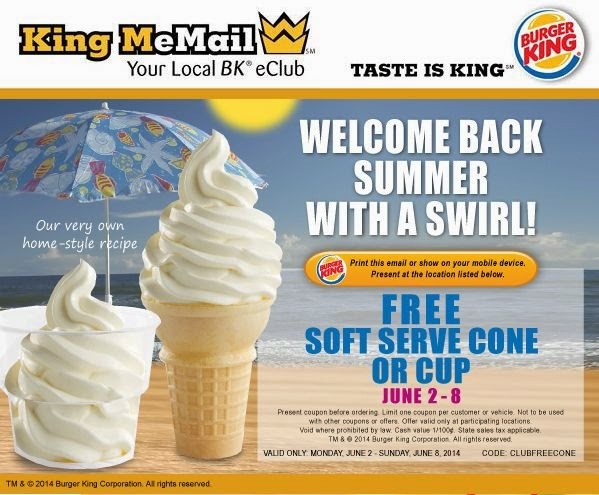 Get a free soft serve cone or cup @ Burger King through June 8, 2014. Just click the link below to get the coupon to show on your mobile phone or to print. Take your coupon to the nearest Burger King to get your free ice cream! Yum!